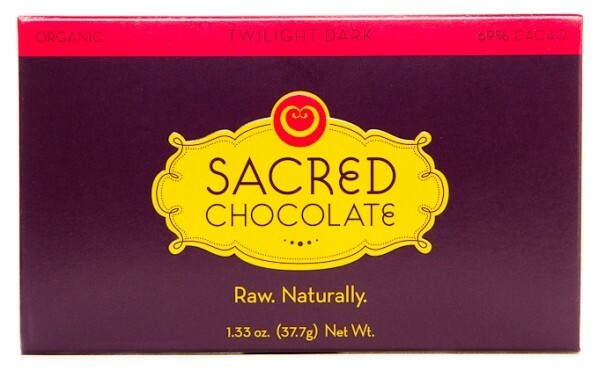 Sacred Chocolate Twilight Dark (69% Cacao) has a complex nuance that is unlikely found in other raw chocolate bars! It includes the whole cacao bean with the skin/husk still attached for superior nutrition. Sacred Chocolate Rectangular Bar -- The 1.33oz rectangular shaped chocolate bar is now available after many months of planning. This new chocolate is thinner and snaps easily in your fingers or in your mouth. It is also a smaller bite size price. 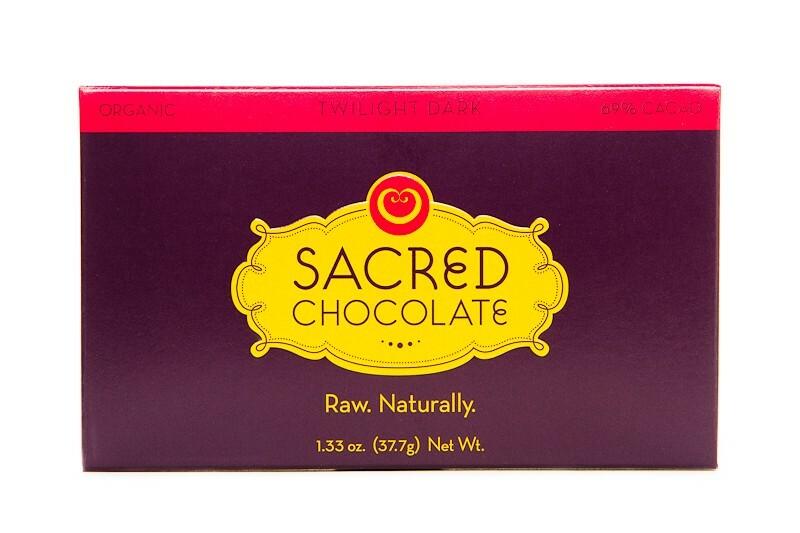 Sacred Chocolate's Twilight Dark 69% cacao 1.33oz rectangular bar is slowly stone-ground from bean to bar right in our custom chocolate factory in Marin County, California, which was designed from the ground up to make raw chocolate! 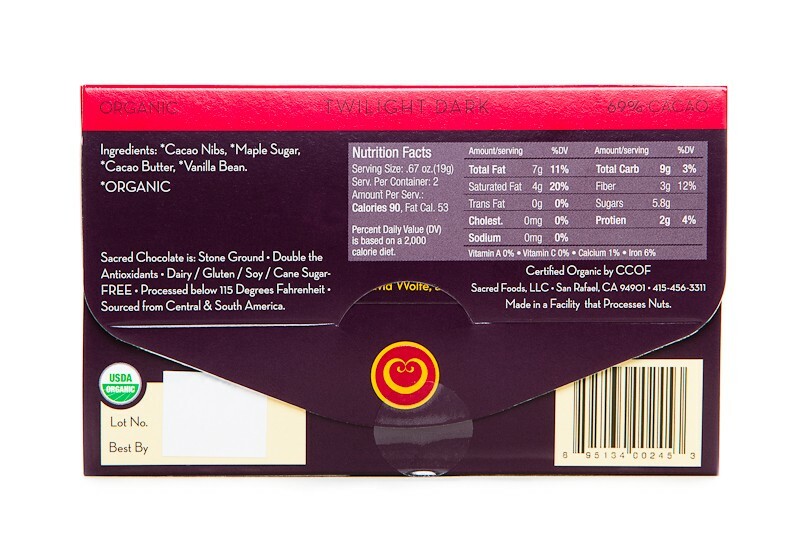 This delicious Sacred Chocolate bar is hand poured & hand wrapped. All Sacred Chocolate is prayed over by Sacred Steve, the Sacred Chocolate Oompa Loompas and others! "Cacao Nibs, *Maple Sugar, "Cacao Butter, "Cacao Beans with SKINS, *Vanilla Bean.